I brought my 2012 Corvette Z06 LS7 down to Victoria last weekend to put on Kurt's Mustang Dyno at LSX Performance Dyno so Patrick G. could provide a full hybrid tune to take advantage of my new Airaid air intake and Corsa x-pipe. I have American Heritage Performance (AHP) heads and a custom TSP "torquer" cam. Both Kurt (98Aggie) and Patrick (Patrick G.) were great to work with and very hospitable. Patrick took the time to get it all right, I couldn't be happier. 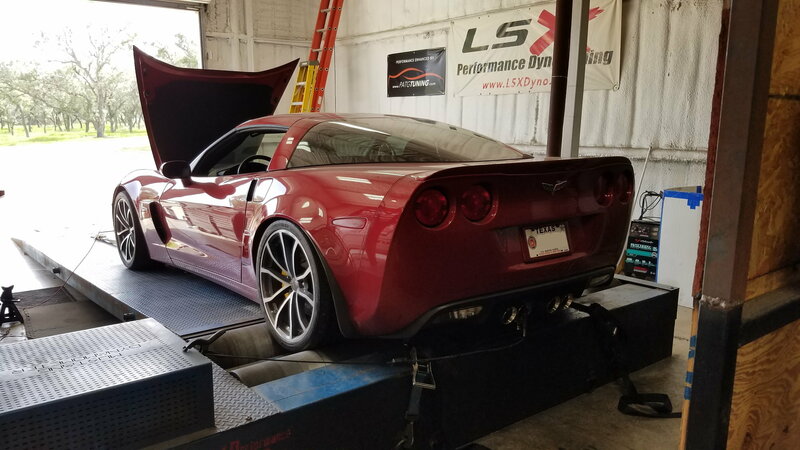 After Patrick loaded his initial tune, we took it out for a brief test drive to populate some of the STFT's and that was before we even began to put the car onto Kurt's dyno. My goals with the heads were simply to fix the valve guides so for me, I was able to justify the $550 extra for AHP's proprietary Moldstar 90 valve guides that they offer. 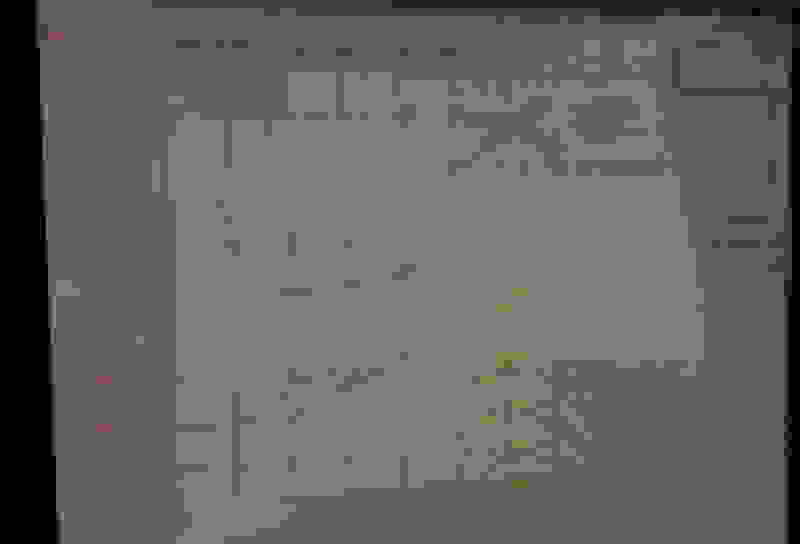 If you're not familiar with Moldstar 90 yet, it's an exotic performance alloy comparable to BeCu but even slightly better thermal conductivity properties and it doesn't come with the health hazard associated with working with Be. 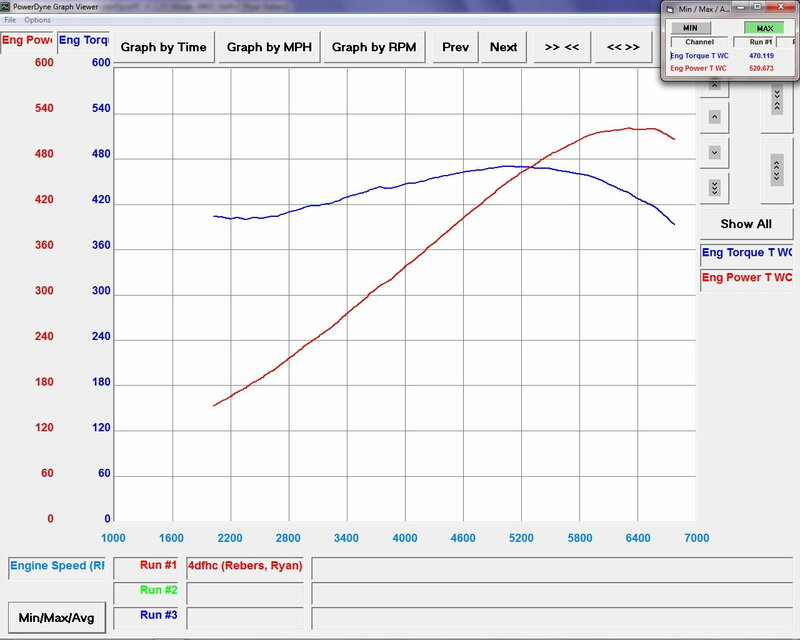 I finished out the heads with PSI 1511ML valve springs, tumble polished the original Ti Del West intake valves, swapped the exhaust valves for Ferrea's hollow stemmed F2042P valves, and then had AHP perform their high velocity street porting to round it all out. GM uses the PSI valve springs on their COPO Camaro's along with the same Johnson 2110 SLR lifters that I went with, as well. 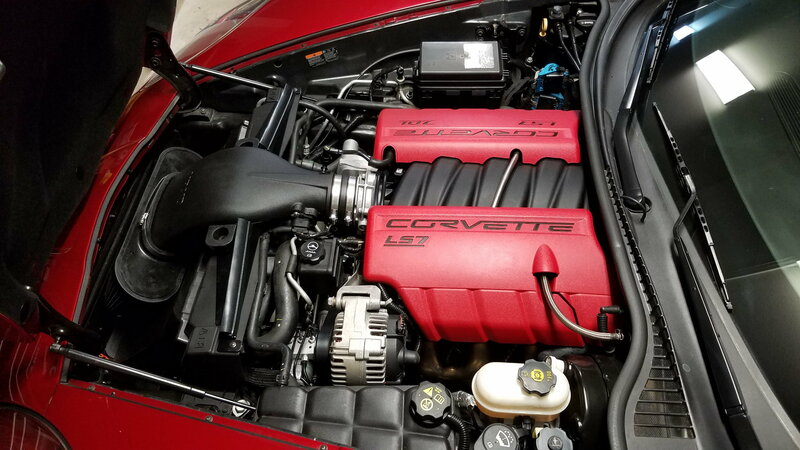 My goal with the cam was in large part to replace the stock GM LS7 cam with a superior 8620 core cam with TSP's superior and more valvetrain friendly cam lobes, while still maintaining all the stock drivability. My goal for this build was to maintain as much of the stock appearance under the hood as I could, in part to preserve the value since it's only got 7.5k original miles on the car. (The Airaid can easily be swapped back to the stock air filter.) Stock exhaust manifolds. Couldn't be happier with the tune by Patrick or the way it all came out. 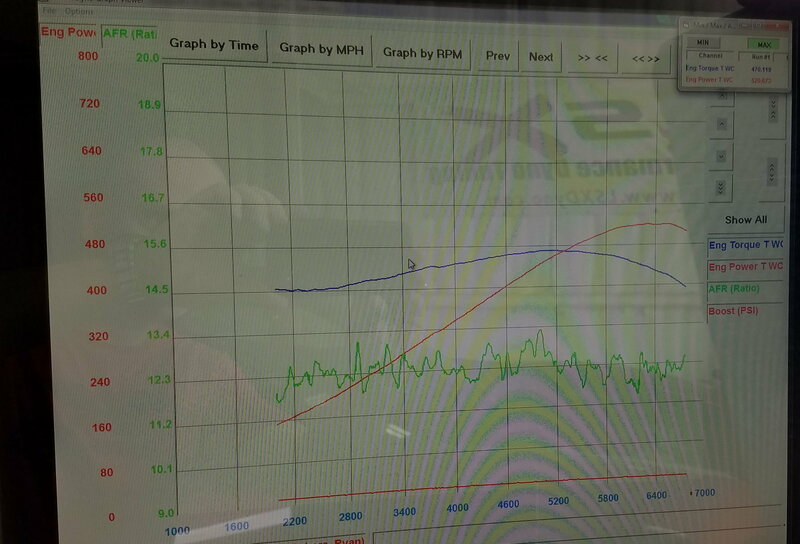 520 rwhp on Kurt's Mustang dyno I'm told by Patrick is about 4%-7% lower than the average DynoJet, and was more than I was really expecting. It was late afternoon and the temperature was right around 100°F. The fact that the car drives and for the most part idles like stock (slight lope that is almost indiscernable) but has that much more power on top of the durability of all the parts I used, is exactly what I was going for. In my mind, this is sort of the way GM should have made the motor from the beginning! Just saw the cam specs: 24 degree split, 0 overlap, BARELY lopes..... sounds like the cam many of us could appreciate! And then the power figures! NICE! Worth the drive to Victoria every time. Curious about the lean spot at peak torque. Seems like the AFR could have been dialed in tighter, but its obviously a good performer. I talked with Patrick and he said the smoothing function on the AFR was just turned off. AFR is in fact very tight. Sounds wierd but good to know. Typically when smoothing is turned off you're seeing the real unfiltered AFR. But I'm sure Pat's got it locked down. Looks like Pat did ALL the smoothing needed! Good numbers. AFR varies alot, see a full point swing in some cases. 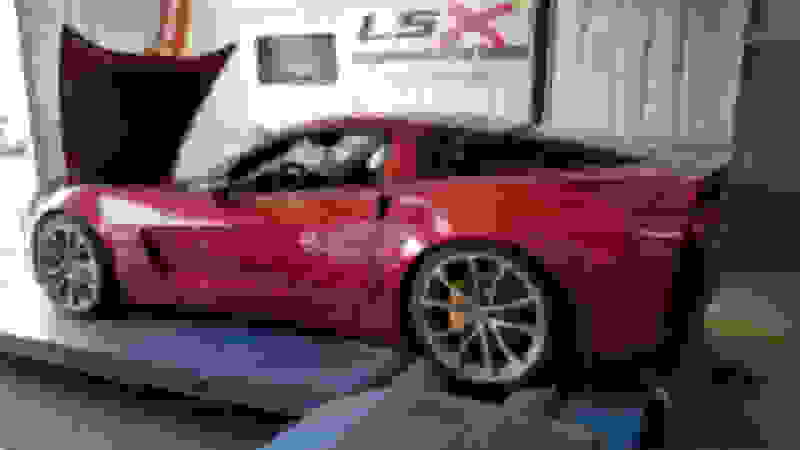 It shouldn't if its on a dyno with known conditions. Varying a full point on an NA setup, unless commanded that way, does not seem right. Do they do parts installs there or just tuning? I'm sure Pat would be happy to answer that question. Just Google Pat Guerra. 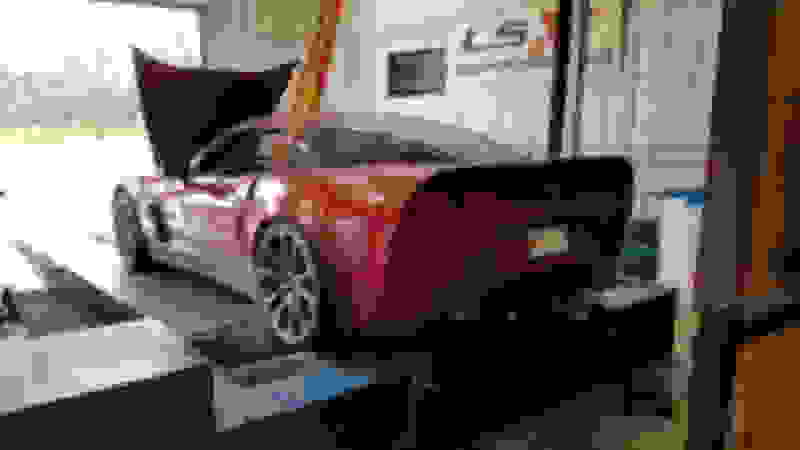 Love that color on the Z06! Must be a blast to drive!